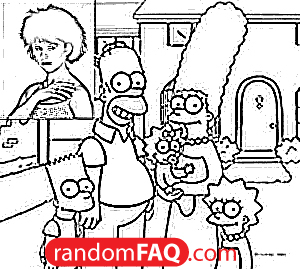 From 1987-1989 the Tracy Ullman show aired clips or shorts of the Simpsons before the actual sitcom was tweaked. Twelve people do the voices for the show and make up the 70 or so characters in the series. Bart's voice is performed by a girl (Nancy Cartwright). Homer Simpson, Mayor Quimby, Groundskeeper Willie, and Itchy are all voiced by the same person (Dan Castellaneta). Hank Azaria is also a bunch of voices on the show, including: Apu Nahasapeemapetilon, Moe Szyslak, and the Bumblebee Man.